In his 2017 National Day Rally Speech on 20 March 2017, Prime Minister Lee Hsien Loong emphasized the importance of learning Mandarin as a second language at an early age. He shared his own experience saying that he had begun learning Mandarin at the age of three in a Chinese-medium kindergarten. He highlighted the difficulty for adults to learn a second language, as it would not be easy for them to get the pronunciation right. Research has shown that children’s early years are the most vital period in their life as that’s when they form their main learning abilities, and it is also best time for them to learn a second language. Harvard University has confirmed that learning a second language at a young age can enhance the children’s creativity, critical think skills and mental acumen. It also suggested that “the speed with which young children learn language is breathtaking”. The curriculum team at ELFA Preschool understands the co-relation between age and language learning ability, and has enhanced its curriculum with a strong emphasis on Chinese language acquisition. 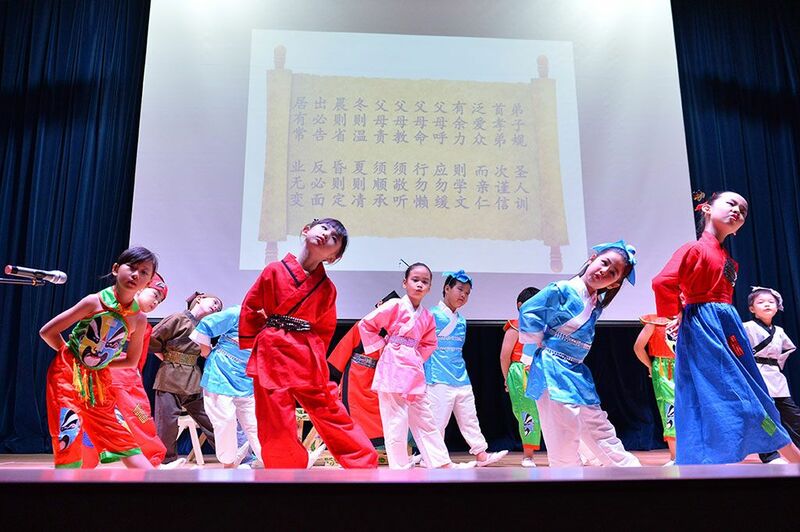 ELFA’s Chinese Speech and Drama lessons are taught by specialists to immerse children in a culturally-rich Chinese learning environment, to further strengthen the children’s confidence in the mastery of the language. ELFA has a uniquely designed story-based curriculum developed by a panel of advisors from China and Singapore, and comprises of six learning areas – Language and Literacy, Numeracy, Aesthetic and Creativity, Physical, Social Emotional and Environmental Awareness. At ELFA, all Kindergarten children also have the opportunity to take part in the annual HSK (Hanyu Shuiping Kaoshi or International Chinese Proficiency Assessment) covering listening, reading and writing to benchmark their skills and help them to further improve. They also have the opportunity to take part in the annual HSK Speech & Talent Competition. In 2016, children from K2 children from ELFA Serangoon clinched the first prize for their outstanding performance in the event. with “Moving Three Evictions” performance.